The Genetic Lottery…Did You Win It? Or maybe your children did. You know, those families that are just beautiful. Perfect hair, teeth, faces, bodies. Not that it is a bad thing. Some people win that lottery, some don’t. Some have natural beauty, some have to work a little harder at it. But what about that other genetic lottery? You know; the illnesses, addictions, diseases, bad behaviors, and all those other things that every person dreads. I do not look like either of my parents, or any of my 3 siblings. All 4 of my daughters have a strong resemblance to me. No one would ever ask any two or more of us who may be together if we are related. It is that obvious. I do not know where I got my green eyes from, I am the only one in my family with green eyes. I have 2 daughters with blue eyes, one with blue-green-indescribable colored eyes, and one with brown eyes. All of my girls got their eye colors from their father’s side. What else was I blessed/cursed with? An incurable, genetic bladder disease (IC) that I have been dealing with for over 25 years. Anxiety, depression, and panic attacks. I have stopped drinking alcohol because thanks to an alcoholic mother and father, and grandparents on both sides, I cannot just have a couple drinks. Oh, it always starts out as a couple drinks, but it never ends after a couple. A couple of drinks would never again be enough for me. I am unsure if I will get my Grandmother’s dementia, but I know my girls would make sure I had the best treatment possible if and when it got to that point. I am very smart. Smart in the way that just comes easy to me. No clue on where that came from. No, I am not saying anyone in my family is not smart, it was just always easier for me. 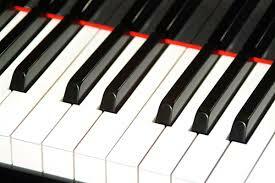 I am musically inclined, and can play 7 different musical instruments. No one in my family ever played or sang, but I have 2 daughters who are musically inclined. But I worry about what else my daughters may get from me. Will they have addiction issues? Control issues? I have a 13 year old with depression and anger issues, and I wonder how much of that comes from me or her father. You just never know. Just because your parents are a certain way, does not mean you need to grow up and be like them. But you certainly want to be aware of the possible issues that go along with being their child. So when you look at those people and think to yourself that they must have a perfect life, you need to remember that no one has a perfect life. Many people have issues or illnesses you will never see. So you may have gotten a couple doozies in the genetics pool, but I bet you got some good ones too!